Hey, you. Put your phone away. Not because it’s dinnertime. Not because you’ll strain your eyes. Not because we’re having a conversation and you can’t turn that thing off for five measly minutes?! But because someone on there might want to kill you, frame you, blackmail you, steal your identity, destroy your reputation, or just old-fashioned scam you. 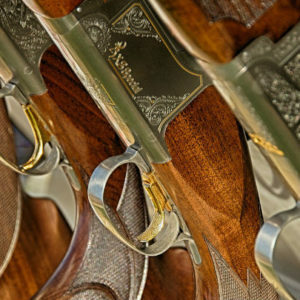 Any quick search for social media murders will pop up with crimes inspired by every social media platform imaginable, and any sensational crime that happens at least once in real life will occur tenfold in crime fiction. Here’s just a few of the many mystery novels to make us even more afraid of technology than we already are. In one of McDermid’s creepier creations, profiler Tony Hill goes up against a killer who uses social media to find his targets. McDermid’s fake social media site invented for the book, RigMarole, was so well designed that the publishers created a real-life version of it to market the book upon its release (sadly, it has since been taken down). 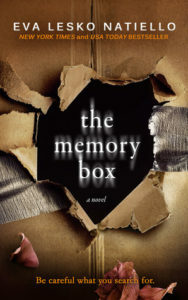 RigMarole has since appeared in a number of other books, and has earned its creator a reputation as one of the most tech-savvy writers in the genre. 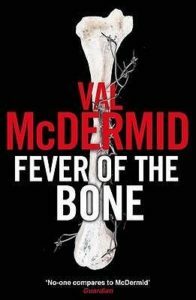 McDermid’s latest Carol and Tony thriller centers around that most-shared-on-social-media occasion, a wedding. There’s also a cyberbullying subplot about nefarious Instagram followers with a nice twist at the end, although that twist is eclipsed by the major-league twist at the very, very, end (we can’t tell you any more— you’ll have to find out for yourselves). 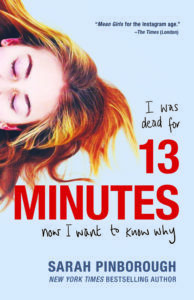 Laukkanen’s series characters, FBI Agents Windemere and Stevens, track down a killer who’s posing as a suicidal teen and using social media to convince teens to kill themselves. 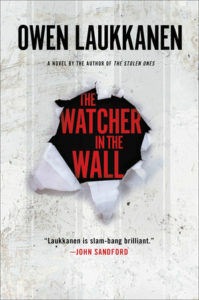 Laukkanen’s series has explored contemporary issues from the start—his first, The Professionals, involves a gang of unemployed millennials who turn to heists in order to pay off student loans—but The Watcher in the Wall, and its lingering questions about how to prove guilt when words delivered via the internet are the cause of death, is his most intriguing yet. 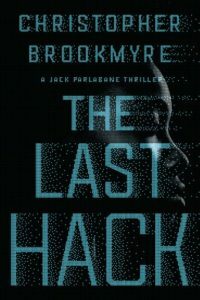 In The Last Hack, Brookmyre introduces a feminist hacker whose technological brilliance is matched only by her problems outside the internet. Her mother’s in prison, her father’s identity is a cipher, and she’s worried about losing custody of her handicapped younger sister. Oh, and she’s experiencing increasingly vicious bullying from the other girls at her school, who do not approve of her good grades and ambitious goals. 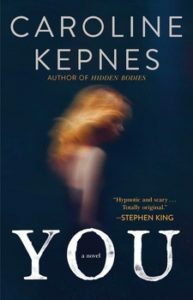 While much of the story has her teaming up with a reporter to infiltrate a highly secure technology firm, she also makes time for some sweet social media revenge against her tormentors. A new mother finds much needed advice and support (plus a place to vent) on the online forum netmammy. She begins to worry she’s shared too many details of life when women on the site suddenly go off-line—and appear to have disappeared altogether. 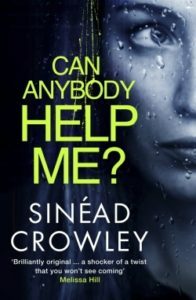 While the usual suspects of social media—Facebook, Twitter, and Instagram— show up often enough in crime fiction, Crowley’s is the only book I’ve seen to explore the mainly supportive but occasionally vicious world of social media for moms. In this tale of obsession and meticulous online stalking, a man believes he’s found his perfect mate in the form of an aspiring writer he speaks with oh-so-briefly at a bookstore. While the writer is reticent with him in real life, she has a robust online presence, and he proceeds to stalk her through all her social media channels and use the knowledge he gains for in nefarious ways to terrible, twisted ends. I’m looking forward to the TV adaptation coming out this summer. 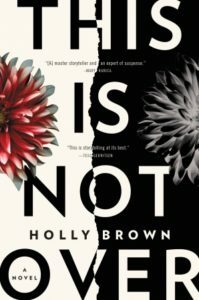 In a suburban town where the socialite pastime is to dig for dirt online about friends and neighbors, a woman googles herself to make sure her reputation isn’t at risk from any internet searches. Nothing turns up under her married name, but a search for her maiden name leads to a report of her death—and raises questions about her family, her marriage, and most of all, her past. What happens when the internet knows more about us than we know about ourselves? 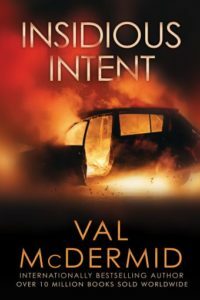 Single mother Laura Wilson has her fair share of run-of-the-mill challenges even before she receives a friend request from a woman who’s been dead for 25 years. 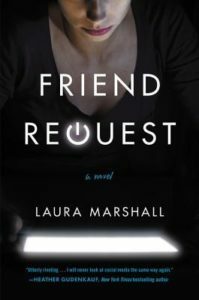 What does the request mean, and what secrets will come to the surface as Laura struggles with her part in her friend’s demise? Popular Tasha nearly dies at the bottom of a river, rescued at the brink of death with no memory of how she got there. Once recovered, she starts spending time again with her old best friend, Becca, cast aside for prettier companions years before. As their schoolmates speculate wildly about Tasha’s near-demise in the halls and on social media, Pinborough delivers on her reputation for masterful twists and turns.